Takeaway: Safety leadership is the most important factor in every successful health and safety program. You'll rarely find a company that doesn't fall short of its health and safety outcomes. And even those that don't often wish they could do better. The trouble is, too few companies know how to draft and implement an effective health and safety program. Even if theirs looks good on paper, it doesn't always translate to reality and the incident rates stay high. In this article, we'll go over three characteristics you'll find in the companies that get it right when it comes to health and safety. By taking a cue from them, you can set up a program that actually succeeds. Little more than a generation ago, the term "EHSQ" (Environmental, Health, Safety, and Quality) would have puzzled even the savviest business person. Businesses thought in terms of their bottom line – what were the revenues that they generated and what were their costs of doing business? And, in terms of costs, they frequently only thought in terms of pure accounting costs – how much money did they spend on wages and what was the price of the new piece of equipment that sped up the assembly line? Fast forward a couple of decades and EHSQ has entered the business lexicon. And no company can hope to operate successfully without developing a comprehensive understanding of its EHSQ challenges and putting policies into place to address them (to find out more, see Connecting the Dots: Sf. Although most companies recognize the importance of having these policies and procedures in place, not all companies have implemented best practice standards. There is a stunning gap between industry leaders in this category and those companies that are simply going through the motions. In fact, most companies, particularly those operating in manufacturing sectors or the natural resources industry, have room to significantly improve their EHSQ practices. Many companies have well-written EHSQ policies, even if these policies don't always align perfectly with the realities on the ground. And the vast majority of companies have mission and value statements that clearly articulate their business objectives. However, these EHSQ policies and mission statements do not always dovetail with each other. They are frequently written by people who work in vastly different areas of a company and may have never even interacted with each other. The EHSQ policies might, for example, be drafted by the legal team, whose concerns are mostly focused on protecting the organization from liability. Their statements will often read like a conservative laundry list of every potential risk the company faces rather than a pro-active statement about what the company plans to do to become more socially responsible. At the same time, the mission and value statements are often drafted by members of the PR, marketing, investor relations, and corporate strategy departments. They're focused on painting the rosiest possible picture of a company so they can boost corporate valuation. The result is all too often a company that does not speak with a unified voice. With key documents promoting disparate goals and without a clear plan of action, it's no surprise that few health and safety programs are as effective as they could be. The good news is that there are steps you can take to overcome this organizational divide. By following the example of companies that have implemented exceptional health and safety programs, any organization can start improving their health and safety outcomes, along with all the other benefits that come with them. Here are three of the main reasons health and safety programs succeed. It is easy to see how the pessimism of the legally dense documents from the EHSQ side of the corporation could collide in a battle of values and outlook with the rosier mission statements penned by PR gurus. Unfortunately, you won't be able to fully bridge that divide. But you can take steps to ensure that your organization speaks with a single voice. Every complex organization has a number of different departments with their own focus and concerns. It's the job of those in leadership positions to make sure that all of these different teams are all working toward the same goals. And health and safety is no different: EHSQ leadership is what will make sure the program is comprehensive, coherent, and effective. It is up to those in senior-level executive positions to take the company's EHSQ challenges seriously and to communicate their importance to the rest of the team. If those at the highest levels of the organization vocally embrace these policies and programs – and if they back up those words with actions – other members of the team will get on board with these initiatives. There is a demonstrable bandwagon effect with health and safety programs, and the best companies take advantage of it. In an ideal world, simply keeping everyone safe and healthy would be motivation enough to strengthen and enforce health and safety policies. But with so many competing interests, goals, and demands, safety is sometimes sacrificed for other values. That's why the most successful EHSQ programs are implemented by companies who recognize that their different corporate objectives are often not in conflict. Now, a bookstore with a handful of employees might not see such incredible benefits from a strong safety program (although they could suffer a huge PR and loyalty blow if their negligence results in a shelf tipping over and seriously harming an employee or customer). But a mining company, for example, can see great outcomes in the form of reduced accident rates, lower absenteeism, decreased turnover, and an improved corporate image for its customers and investors. 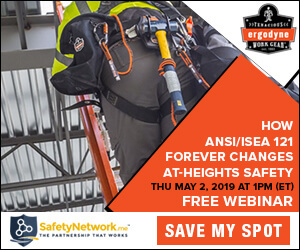 Corporations that understand that safety isn't just a burdensome cost but is, rather, in harmony with their other outcomes are far more likely to have successful EHSQ programs. Following best practices for establishing an EHSQ program has wonderful benefits, but it's important to remember that even the best program will not be a panacea for every problem that plagues your company. Accidents and adverse events will still happen. Consider, for instance, the environmentally devastating Deep Water Horizon oil spill that dumped millions of barrels into the Gulf of Mexico in 2010. British Petroleum (BP), the company responsible for the disaster, had a well-articulated EHSQ program. In fact, it continues to herald safety as one of its values and its first priority, with the stated aim of having "no accidents, no harm to people, and no damage to the environment." Yet, despite that laudable goal, multiple U.S. investigations placed the blame for the disaster squarely on BP's shoulders, along with some of its contractors whose ruthless penny-pinching compromised the effectiveness of their safety policies (for related reading, see When Safety Leadership Failed: Lessons Learned from Major Disasters). Putting a health and safety program in place is not the same as ensuring that EHSQ targets and outcomes are met. A carefully crafted program can yield a number of benefits, but it cannot a substitute for genuine safety leadership. Without it, an EHSQ program is simply a lot of verbiage without action to back it up. And words without action is what gave us the Deep Water Horizon spill and it's also responsible for a number of smaller negative outcomes across a number of companies. There's a common theme that runs through every aspect of a successful health and safety program: leadership. To be sure, everyone needs to do their part and contribute to the program if the company hopes to reach its EHSQ targets. But without commitment and action from those in senior positions, no safety program can hope to succeed.